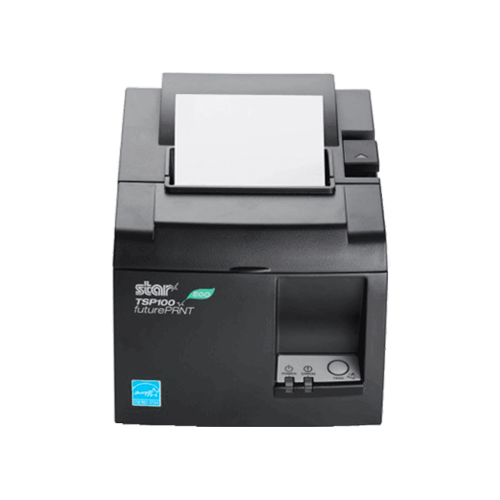 This thermal receipt printer from Star is a great option for small venues and those on a budget. The printer connects directly to your BarTab EPOS iPad via the lighting cable. This makes this the simplest printer to install as there is no need to run any cables to connect the printer to your Internet router. This is also one of the most cost-effective printers available. It is only possible to print to this printer from the EPOS iPad that is connected to it. If you need be able to print orders placed on more than one iPad to the same printer then you would need the Star Network Printer.